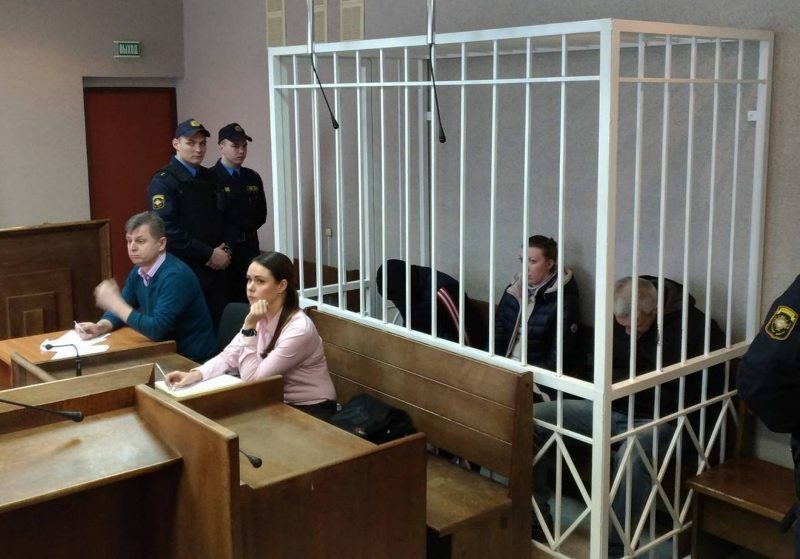 The Minsk City Court has sentenced two persons to death after a retrial on January 20. Viachaslau Sukharka and Aliaksandr Zhylnikau were found guilty of murdering three people in December 2015. One more defendant in the case, Alina Shulhanava, was sentenced to 12 years in prison. “Everything is stable in this country: 2017 ended with dismissing the appeals of death convicts Ihar Hershankou and Siamion Berazhnoi and 2018 begins with two new death sentences. Of course, my reaction and the reaction of my fellow human rights activists is sharply negative. As far as I know, Viachaslau Sukharka will not appeal, although his lawyer has to do it anyway. As for Zhylnikau, he is going to appeal and his family supports him in this,” Andrei Paluda, coordinator of the campaign "Human Rights Defenders against the Death Penalty in Belarus", said after attending the trial. The charges stem from two episodes that took place in December 2015. In the first count, a man and his girlfriend were killed in their apartment in Minsk. The man’s former girlfriend Alina Shulhanava reportedly hired Viachaslau Sukharka and Aliaksandr Zhylnikau to threaten the couple. However, Sukharko and Zhylnikau killed both, instead. Immediately after their arrest, it became known that Sukharka and Zhylnikau were involved in another murder in the town of Kalodziščy near Minsk. They are said to have murdered the man who let an apartment to one of the defendants.